What Happens When Natural Wonders Go Viral? 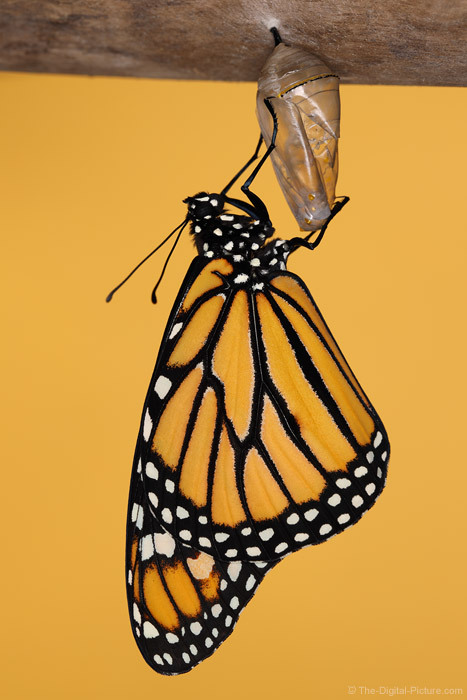 Permalink: What Happens When Natural Wonders Go Viral? This model obviously accepted Canon's request and she managed the assignment very professionally. Parachutes are designed to ease the landing, but in this case, the parachute was more likely to cause a liftoff (followed by a perilous landing). I would have been more comfortable if she had a crash pad beside her, but she stayed on her feet through even the strongest wind gusts. A 50mm lens does not create the extreme background blur that long telephoto lenses can create, but the 50mm angle of view allows a closer camera position that provides a more intimate look while the f/1.2 aperture still provides a strong background blur that makes the subject stand out. The look is unique in a very positive way. The extremely wide f/1.2 aperture allows handholding in very low light levels but with a white dress in the sun, even a 1/8000 shutter speed is not always fast enough to avoid blown highlights at f/1.2 and ISO 100. In direct sunlight, a neutral density filter or, as used in this example, a circular polarizer filter on the lens. When water is on the horizon, I usually want the image framed with the horizon level. Electronic viewfinder levels have greatly improved my original captures in this regard, but with the wind and unstable footing, I still managed to get a small degree of tilt that needed to be corrected in this image. An ultra-wide aperture lens is generally selected to make use of those ultra-wide apertures. Often, especially with 50mm ultra-wide aperture lenses, the image quality at the widest apertures is not good and often describable as "dreamy". While dreamy can be nice on occasion, it is not usually what I am going for. With this lens, f/1.2 results are very sharp, showing good resolution and contrast. I have not hesitated to use this lens wide open and ... haven't stopped it down very often. The Canon RF 50mm f/1.2L USM Lens is a compelling reason to get a Canon EOS R camera. B&H has the new Apple iPads, MacBook Air Notebooks and Mac MINIs available for preorder with free shipping. Want to know what's new? See the details here. Just posted: Canon RF 24-105mm f/4L IS USM Lens Review. This is the ideal general purpose lens for the EOS R.
The Canon RF 24-105mm f/4L IS USM Lens is currently available in the Canon EOS R kit and individually available for preorder at B&H | Amazon | Adorama | WEX. 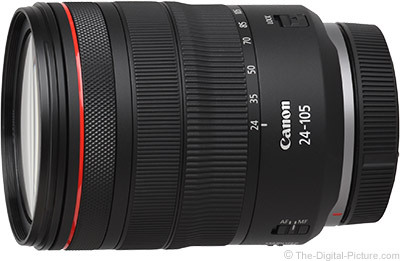 Rent the Canon RF 24-105mm f/4L IS USM Lens from Lensrentals. 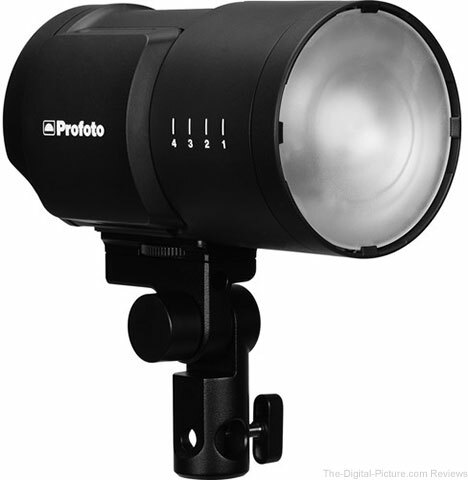 B&H has the Profoto B10 OCF Flash Head in stock with free next day delivery. I was in Aspen, Colorado for two nights and the primary goal was to capture another set of classic Maroon Bells lake reflection images that included the amazing fall aspen color. After arriving at the hotel late in the evening on the first night, I set the alarm for 2:40 AM and went to bed. Probably no one thinks getting up at 2:40 AM is fun and ... that I was dragging my wife and youngest daughter with me ... raised questions about my sanity. Still, this is one of the most beautiful locations in the country and I calculated that it was going to be worth the sleep deprivation (and potential grief from the family) to get the perfect position along Maroon Lake. Upon stepping outside, the heavy cloud cover was obvious and occasional light rain followed us. Landscape photographers live for the openings in breaking storm clouds and I stayed with the plan. I was one of the first photographers to arrive at the side of the lake, but I immediately encountered disruption of the plan. The first issue was that a rope now lines the path around the lake, preventing close access to the water. The second issue was that the lake level was extremely low. The restricted access and now-distant, very shallow lake combined to provide a dirt/stone former lake bottom as the image foreground and the lake was now small enough that the reflections were rather unexciting at the proximity available. In addition, the aspen leaves had changed (and many dropped) about a week early this year, courtesy of the drought that also accounted for the drained lake. I continued to stay with the plan, remaining standing in my spot, alongside a large number of other photographers, from about 3:30 AM until close to 9:00 AM, waiting for a break in the clouds. That never happened and I finally decided that a decent photo was not likely to happen. The hike I promised the girls was looking like a great option and that became the plan. After all of the early AM effort, the best scene of the day showed up in front of us while hiking near the far side of the lake. 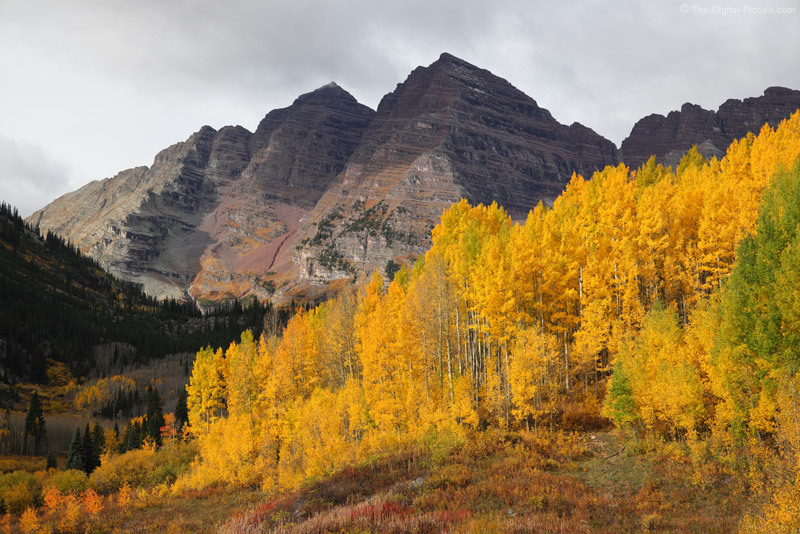 An opening in the clouds allowed sunlight to penetrate, brightly lighting a grove of aspens that were still holding their brilliantly-colored leaves. The key to getting my favorite Maroon Bells image on this trip was just being out in a great location, watching for something good to happen. The Canon EOS R and RF 24-105mm f/4L IS USM Lens were perfect hiking companions. A separately sold TAP-in Console is needed for an update. 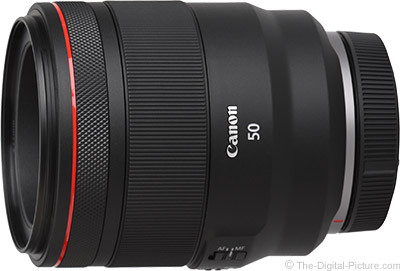 B&H has the Canon RF 50mm f/1.2L USM Lens in stock with free next day delivery. The Canon RF 50mm f/1.2L USM is easily one of the best 50mm lenses we've ever tested; compared to its EF predecessor, the RF's image quality is astounding at f/1.2. After a casual portrait session with the R and the RF 50mm f/1.2L Lens I thought I'd share a quick update on the Canon EOS R's Eye AF performance. 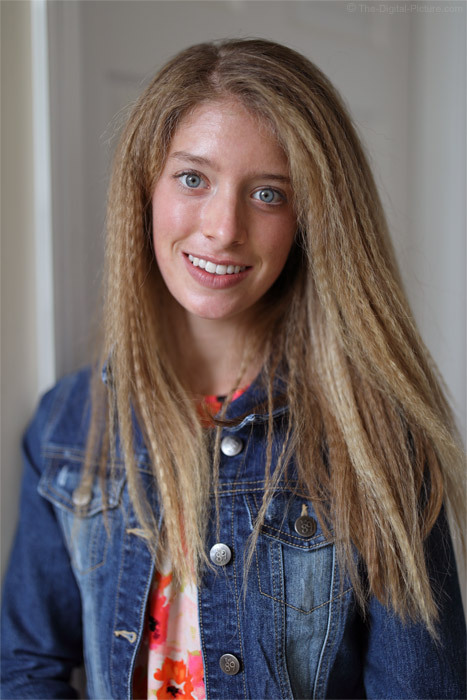 This indoor, ambient window light session netted 157 images. Of these images, 10 were 2/3 body portraits, 82 included head and shoulders (or were framed slightly wider) and 64 were headshots with a significant number of those being close to minimum focus distance. All images were captured at f/1.2 for the shallowest, most-AF-challenging depth of field possible and eye detection AF was exclusively in use. Of the 157 images, ten were focused on eyelashes (usually acceptable, mostly close to the iris), two were focused a similarly-short distance behind the iris and only two images misfocused beyond iris-to-eyelash distance. The other 143 were optimally focused on the iris. That the camera was being handheld with me in a somewhat squatted position and the subject standing (sometimes leaning against a wall) meant that our movement could easily have caused any of the less-than-perfect results. I remain very pleased with the EOS R's portrait AF capabilities and the RF 50mm f/1.2L is a very impressive lens, perfect for portraits. The Canon EOS R is in stock at B&H | Amazon | Adorama | WEX. Rent the Canon EOS R from Lensrentals. After careful investigation, we confirmed some phenomena particular to 4 products listed below. 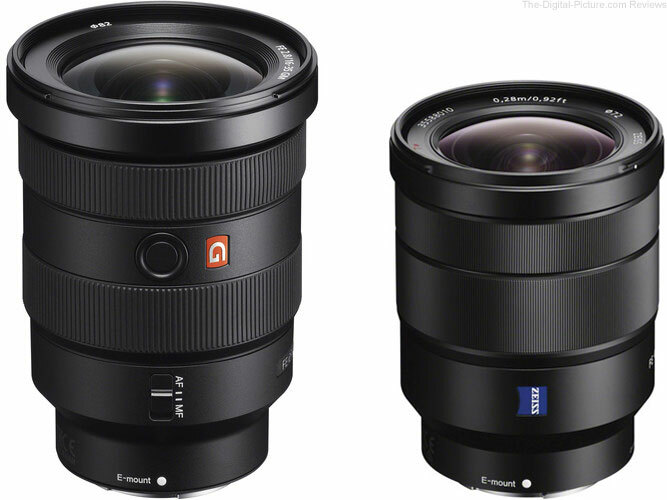 Regarding a firmware update for the SIGMA 24-35mm F2 DG HSM | Art, 50mm F1.4 DG HSM | Art and 85mm F1.4 DG HSM | Art, we are going to announce them at a later date. [Phenomenon]- It may occasionally stop recording while shooting video. It is planned to be resolved by a firmware update. [Phenomenon] - When starting to shoot with the subject completely out of focus, the response to the AF operation is intermittent. It is necessary to release several times or to turn the focus ring once to release. It is planned to be resolved by a firmware update. [Phenomenon] - It may occasionally show overexposure when narrowing down the aperture from F5.6 while shooting. It is planned to be resolved by a firmware update. [Phenomenon] - Please focus using MF, since it is difficult to achieve sufficient focusing accuracy. There is no plan for a firmware update. Please use manual focus while shooting with lenses which do not incorporate an AF driving motor. Depending on shooting conditions, sufficient focusing speed and accuracy may not be achieved. As required, please use manual focus while shooting. Discontinued products have different operating conditions depending on each product and their shipping period. For details, please contact your nearest authorized SIGMA subsidiary / distributor. *1 For products of which firmware was updated after November, 2013, a firmware update is not necessary. *3 For products with an engraved edition number of A012, C013 or S013, the lens firmware can be updated using the optional SIGMA USB DOCK. (*2) Canon "Mount Adapter EF-EOS R"
Learn Meredith Stotzner’s trick for switching between the Dodge and Burn Tools in Photoshop without disrupting your workflow.